Micromax YU Yureka Smartphone is all set for first flash sale on 13 Jan 2015 at 2 pm . Micromax said that there will be 10,000 units for sale for the customers , although there are 3 lakhs registrations for the Smartphone and the no. of units seems to be quite less . No matter if you will follow the steps below , you will be able to grab one ! 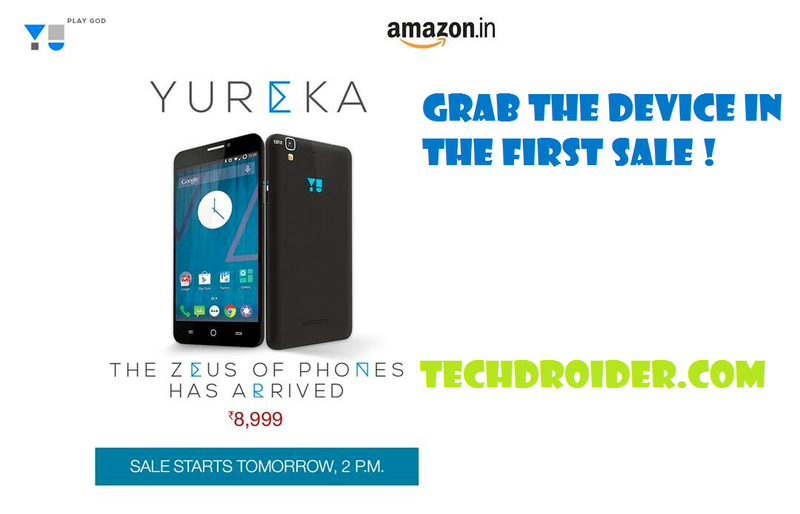 1 - Note - You must be already registered to Buy Yureka Smartphone , else this sale is not for you better luck next time ! 2. Get ready with Your speedy wifi or 3g , as 2g network will work very slow and you will loose a chance to get one Yureka . 3. Use Computer / Laptop for The sale , as general mobile device will work slowly for the sale ! 4.Get ready for the sale , with all the things above and start your PC/ Lappy at 1:45 pm , Login to your amazon account , from which you have registered for Yureka . 5. Open Amazon.com , Where Yureka will be sold - Go here to open ! 6. Do not reload the page , Let the timer goes on ! 7. After the timer get stops , don't think and click on the Buy Now button and Check Out speedly !